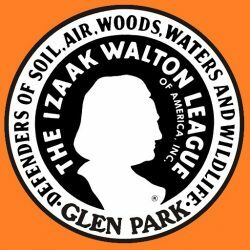 Monthly ATA Shoots at Glen Park Izaak Walton. Program begins at 10 am. Classification & squadding begins at 9 am. Program consists of: 100 singles, 100 handicap, and 50 pair doubles. Entry fee is $21.00 per 100 and $2 of each entry fee is returned to shooters as added money. We will use 3 traps for 16’s & handicap and 2 traps for doubles; all with voice release & lights. We will shoot 100 per trap-5 per post, 25 per sub event. Squads 1,2,3 will start all at the same time. Squads 4,5,6 will follow, and so on. The purpose is to complete all programs by a reasonable hour, using just 3 traps. Lewis & purses are available as follows: Singles & Doubles: Lewis – $10. Handicap: Lewis – $10. Yardage Purse – $10 (60%/40%). 50’s Option – $15 (3 50’s split 60%/40%). ATA Shoot Schedule is generally the FIRST Sunday of each month except for selected Sundays which may be on the THIRD Sunday. We will give $100 if you break 100 Straight Targets in Singles and Doubles (Ties Divide), and $500 in the Handicap (Ties will Shoot off). The $100 is sponsored by: Mike Anderson Chevrolet of Merrillville, Inc.
We shoot ATA Registered Targets on Sundays April through November. On the First Sunday of December through March we will shoot the Big 50, practice and games.